Blue Hen Quilt Shop now is a Handi Quilter Dealer! 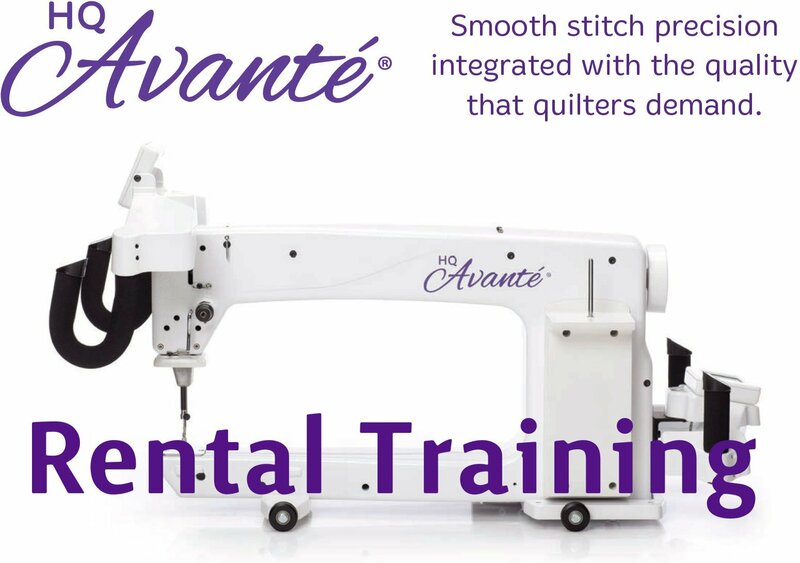 And our first Avante will be a rental machine here in the shop! Before you can start, you will need to take a training class with Erin. This will be a three-hour, one-on-one class, learning how to load a quilt, thread the machine, set tension, use a pantograph pattern and free-motion quilt with an all-over design. See Rental Program Rules and training class supply list here.